Why respite care? Your Mom reached the age where you had to move her into your home to take care of her. At first, it was just the little things she needed help with. But as time goes on, your Mom needs more and more care. Some days you wonder how you will handle caring for her, working, and your own family obligations. And a vacation…well, that just isn’t likely. Getting her in and out of the bathtub everyday has become routine. Or worse, she is a senior who won't bathe. Making all meals for her has become the norm. Watching her non-stop to ensure she doesn’t fall has become a habit. Managing her medications, transporting her to appointments, dressing her – she couldn’t do it without you. You love your Mom but providing her with daily care is wearing on you. And it’s possibly wearing on your spouse as well. Being a caregiver for an elderly parent is difficult and often thankless work. But you wonder…if not you, who will do it? Respite care can ease these worries. Respite care means you get a break from caregiving. Caregiver burnout is common, especially when caring for a family member. Whether you need a break for a few hours, days, or weeks, a good home care provider can help. Respite care assists seniors with all aspects of personal care, companionship, feeding, transfers, or any other tasks. Respite care gives the family caregiver a much needed break from their everyday caregiving duties. Respite care can take place in the home of the senior. Your loved one won’t need to travel to a facility, which alleviates the stress of being in a new environment. In addition, you can show the temporary caregiver the routine for caregiving. This includes how you administer medications, meal time preferences, and your safety concerns. In-home respite care is an excellent option for someone who must work, run errands, or simply needs time off. Temporary caregivers from Simcoe Senior Services are also available for longer terms. Are you going on a vacation or leaving the house for a few days or weeks? Temporary in-home caregivers are available. Do you need an overnight caregiver so that you can sleep peacefully? Temporary in-home caregivers are available for this situation as well. If you are considering respite care, feel free to call Simcoe Senior Services for more information. Whether you need help for an hour or weeks, we can provide quality in-home care for your loved one. Call 705-719-9000 for more information. My sincere thanks and appreciation go to Christine Murray and her team of wonderful care givers. We recently experienced an incident where my normally fit mother came down with Pneumonia requiring acute short term care after being sent home from hospital. Christine visited my mother and assessed her situation on the same day of our call. 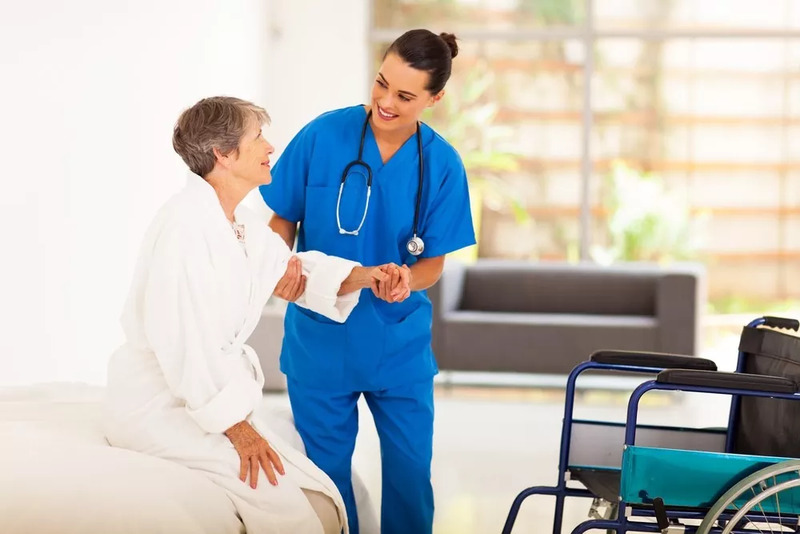 A PSW was assigned immediately for a period of one week, stabilizing my mother and allowing her to get quickly back on her feet. The staff took her to her family doctor for follow up visits, went grocery shopping, cooked wonderful meals, and made her feel comfortable and confident in her own home. The quality of care was far superior to anything we've experienced so far. We highly recommend Simcoe Senior Services both for acute and ongoing senior care. Christine and team, thank you so very much! We can't sing your praises highly enough.